Should You Tint Your Caravan's Windows? What's the Difference Between Popular Weight Distribution Hitches? What Size Battery Do You Need For Your Caravan? Why should you choose an Evakool? Caravanning - the Original Glamping? What’s More Dangerous Than Snake Bites Out in the Bush? What Documentation Should You Take With You On The Road? Should You Invest in a Wheel Clamp for Your Caravan's Security? For travelers to Queensland’s many locales, there are a variety of needs that can be met. Many people spend all their time on the luscious beaches, basking in the sun and visiting the reefs, parks, and assorted other sites in the area. Many others, however, take their Queensland travels to the next level and venture further inland for a few days. And why wouldn’t they? What would Australia be if the first Europeans to set eyes on her coasts remained near the water? No, to fully appreciate all that the land and its people have to offer, you have to experience more than the beach. Some 500-plus km from the eastern coast, you can find the perfect locale to gain that broader insight into Australia’s rich history and adventuresome spirit. There, you’ll find a tiny township that goes by the name of Alpha. It is home to 400 proud residents, and assortment of both new and historic buildings, and a collection of murals that have given the town international renown. Though small in size, the town is large in character. With streets named after poets (Shakespeare is, of course, the main street in town), and more than two dozen murals celebrating both modern and frontier life in the Outback, this “Gateway to the West” has progressed from its early railroad terminus existence to the cattle shire that it is today. Though it is not the most well-traveled modern tourist destination, it is one that every serious visitor to the region should make a point of visiting. While you’re enjoying Alpha, be sure to stop by the information center. The volunteers there will be happy to steer you to a variety of petrified wood samples, and even show you where you can view it in the wild. The town’s pub is a great place to catch not only a drink and meal, but the local flavor of the area, as you meet the residents. There’s even a bakery where can grab a piece of pie and learn exactly why it’s won so many awards. 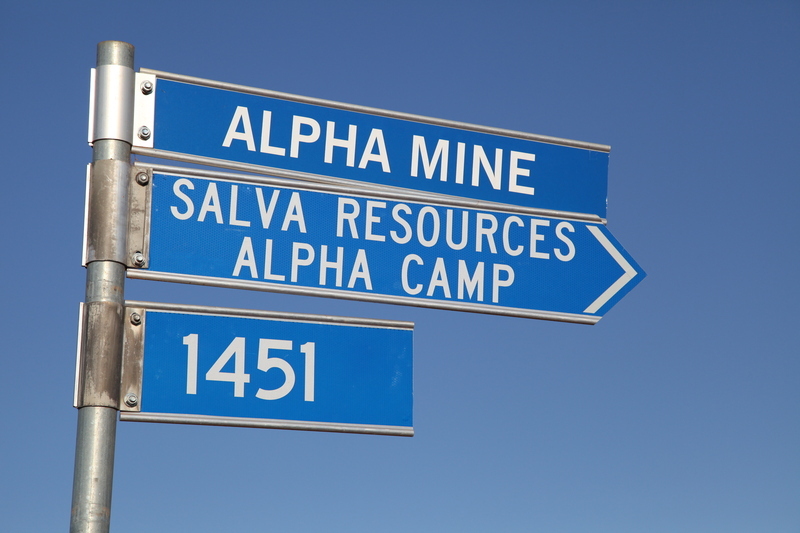 And don’t worry – despite its diminutive size, Alpha has its own hospital, and is serviced by an air strip. What may shock you the most, however, is to learn that you can even get cell reception out there! While Australia has, in recent times, become better known by the modern world, there was a time not so long ago when popular cultural depictions of the country focused primarily on one word: Outback. The good news for visitors is that any trip to Queensland can also serve to satisfy any curiosity about this wilder side of Australia by a visit to the town that still sits on its frontier. 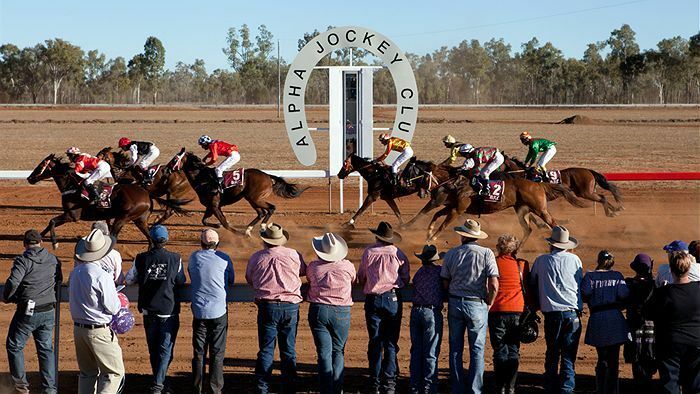 Alpha can be reached via the Capricorn Highway, or by any of the Paradise Coaches. There are even a couple of times each week when the Queensland Rail stops in town – reminding everyone who sees it exactly why the town was built in the first place! In fact, if you want to get a better grasp on what Australia must have been like as it forged ahead from the coasts to the interior of the continent, then a visit to this pivotal rail location is a must. When you get there, be sure to ask about the latest events scheduled for the campgrounds. It’s not uncommon for local musicians and other talented individuals to entertain the patrons of the park. When you arrive, there’s always a fair chance that something is happening soon! Prices based on number of persons per night. Call for rate and availability. Alpha Caravan and Villa Park has you covered for camping needs, but there is also a motel in town for those who decide to stick closer to the hustle and bustle.